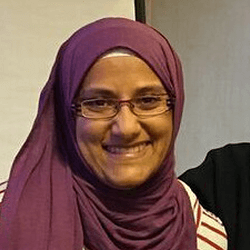 Eamaan Rabbat was raised in the United States and in Syria, where she benefited from renowned female teachers of the Islamic sciences, including tajwid, sirah, hadith, fiqh, and aqīdah. Additionally, she earned her Bachelor’s in Mass Communications with concentrations in advertising and journalism and later earned a Master’s in Educational Leadership and Administration. She resides in the UAE and dedicates her time to the education and upbringing of children and adults. She has held various positions in educational institutions and presently works as an English teacher. She has been honored to serve as director for the Ribaat Academic Institute since its inception in Fall 2013, and she serves on Rabata’s board. Maryum Rasool possess over 16 years of experience in fund development/marketing/project management and strategic development. Maryum and her husband share a beautiful daughter and son, were they currently reside in Michigan. She earned her Master of Science in Administration (MSA) degree from Central Michigan University and is an educator who teaches health care marketing at the college level and currently works as a Manager of Industry Relations. Prior to completion of her MSA Maryum spent three years abroad in Damascus, Syria studying Islam and Arabic, she received her Ijaza in Tajweed in 1999. In early 2013 upon learning of an opportunity to share her Syrian experience worldwide, Maryum and other founding Rabata members set out on a journey to create Rabata.org an interstellar to advocate for a female voice in Islamic scholarship. Along the way, Maryum has discovered that this Rabata journey is a trajectory that involves the readiness of others to reach out to one another and she is inspired to do the same, fusing the bonds of sisterhood. Najiyah Maxfield was raised on the windswept prairies of central Kansas. She is the award-winning author of many articles, poems and short stories. Her young adult novel, Sophia’s Journal, explores themes of inclusion and identity, and is being taught in several middle and high schools across North America. 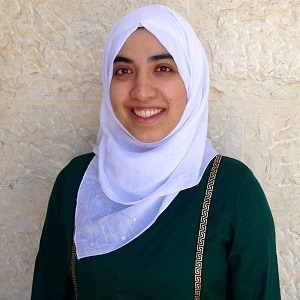 Najiyah taught secondary level English and history in the States for 12 years and university level English in Syria for two. 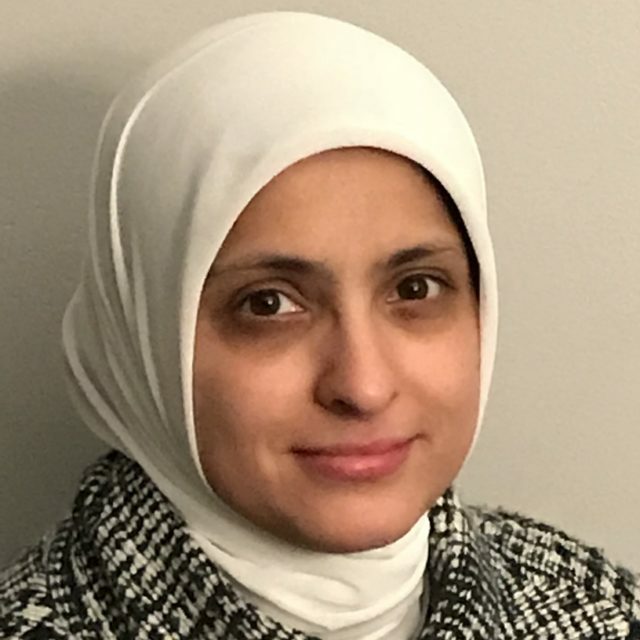 She spent three years as Managing Editor of Discover: The Magazine for Curious Muslim Kids and is now the Editorial Director of Daybreak Press, Rabata’s non-profit publishing company. 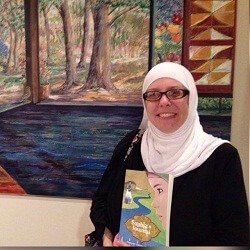 Najiyah currently lives in Canton, MI where she kayaks in the summer and knits in the winter. She and her husband enjoy spending time with their six children and three granddaughters. Qurat Mir studied Tajwid in Damascus, Syria, and received her ijaza to teach the Hafs recitation in 1999 from the late Syrian scholar, Shaikh Abu Hassan Mohiuddin al-Kurdi. She also studied Biology & Chemistry at the University of Missouri, earned B.S.N. and R.N. degrees from Rockhurst University and The Research College of Nursing, respectively, and is currently an M.A. candidate in Education from the University of Central Missouri. 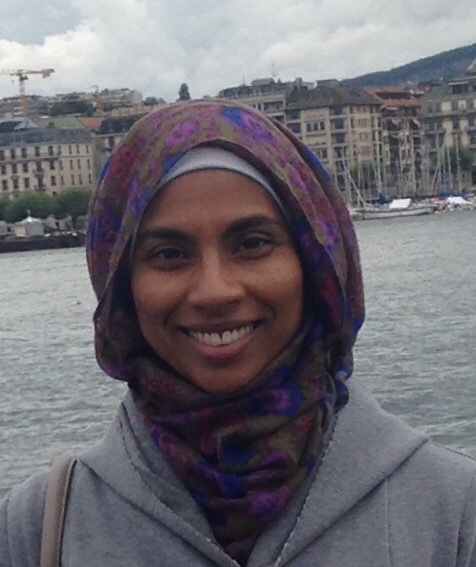 Qurat has been an active member of the Muslim community in her home town of Leawood, KS, in Boston, MA, and now in Northern Virginia. 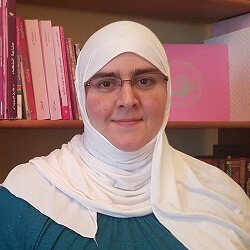 She established a home schooling & enrichment consultancy, New Cordoba LLC, and she is a founding member and currently serving on the board of Rabata, an organization dedicated to the building of spiritual ties between women, the spiritual upbringing of women by women, and the establishment of the female voice in scholarship. 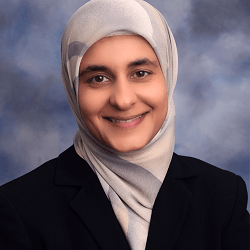 Dr Saadia Mian is board-certified in internal medicine and endocrinology. After completing an undergraduate degree in psychology at the University of Michigan, she went to medical school at Michigan State University. During this time she went to Syria to study Arabic, Quran and sacred knowledge. She received her Ijaza in the Hafs recitation from Shaykh Abu Hassan Al-Kurdi (May Allah swt be pleased with him) and also from Shaykh Raji Krayyim. She completed the memorization of the Quran and is currently working on obtaining an ijaza al-ghaib (ijaza in memorization). She helped to launch the Ribaat Quran program and teaches tajwid for Ribaat. She is a member of the founding board of Rabata and continues to serve while working full-time as an endocrinologist. She is also a member of AACE (American Association Clinical Endocrinologists, Endocrine Society, and Women Physicians for Humanity. In her free time she likes to volunteer for medical mission. Sonia Cader is a practicing Surgical Oncologist in Vancouver, Canada. She has an undergraduate degree in kinesiology, and received her medical training in Vancouver, Edmonton and Chapel Hill. She studied intermittently in Syria from 2001-2005 and obtained an ijaza in the Hafs recitation from the late Shaykh Abu Hassan Al-Kurdi in 2005. She currently teaches Tajwid for the Ribaat Qur’an program in addition to heading the marketing division of Rabata, and serving on the board. She enjoys traveling, fiction, movies and taking Ribaat classes. Nishat Aisha Lal was raised in Cardiff, Wales. 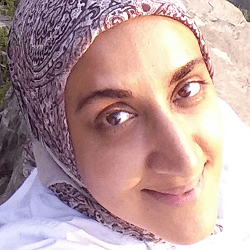 A born Muslim of Indian descent, she began studying Arabic at age 14, which was her springboard to receiving her Bachelor’s degree in Arabic and History from the School of African and Oriental Studies in London. She spent a year in Syria, where she met and studied under Anse Tamara Gray, earned her ijāza in tajwīd and studied at the University of Damascus. Upon her return to England she earned a Master’s degree in Translation Theory and Practice, after which she got married and moved to London where she currently resides and now has a little girl. Nishat teaches tajwīd online as well as in person and is an Arabic Instructor for the Ribaat Arabic program. She is also the Project Manager for Rabata in the UK. Dr. Nazneem Wahab is a Cardiologist with clinical specialties in Echocardiography and Obstetrical Cardiology. In addition to her full-time practice, she is an educator for Adult Cardiology and Echocardiography fellows, medical and surgical residents, medical students, and practicing physicians. Dr. Wahab has a Master’s degree in Global Health in Non-Communicable Diseases. She is involved in collaborations focused on providing impactful education and effective healthcare strategies for low and middle-income countries. Dr. Wahab has been involved with Rabata since the organization’s inception and is a student of the Ribaat Academic Program. She is an advocate for women’s education at all levels of scholarship. She firmly believes in the vital role of empowered and educated women in establishing healthy and successful families and in developing inspired and industrious societies. 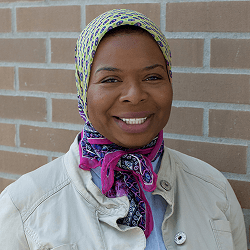 Born to convert parents, Safiyyah Salaam was raised in Alabama, where her family and Muslim community instilled in her a thirst for community development and social justice. She is a graduate of the University of Alabama in Birmingham where she was fortunate to study abroad in Mexico and eventually earned her Bachelor’s in Spanish. After briefly teaching abroad, she returned to the States and obtained her Master’s in Education (Collaborative Teaching) from Auburn University Montgomery. She has taught Special Education in Georgia and Alabama and currently teaches English as a Second Language to students from over 10 different countries in one of the largest urban school districts in America. She has been a Ribaat student and volunteer since its inception in 2013. In addition, she has coordinated and led a local upbringing program for Muslim girls ages 6-9. 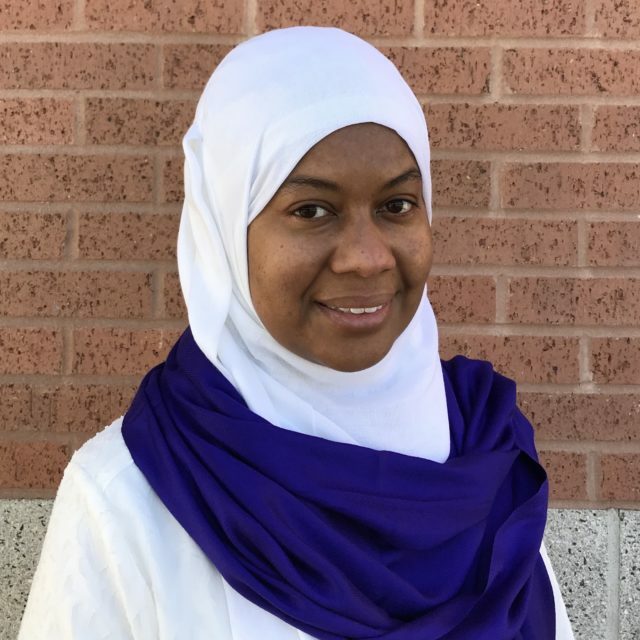 Currently, she serves as an instructor for Ribaat while she aspires to complete her ijaza in tajwid, her studies with Ribaat, and further da’wa in America. She is a wife and proud mother of three daughters who she hopes will carry on in the tradition of learning and disseminating Islam.